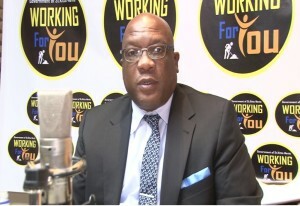 Basseterre, St. Kitts, January 29, 2016 (SKNIS): Prime Minister, Dr. the Honourable Timothy Harris, has expressed gratitude to the people for allowing him to serve at the highest level of the Government of St. Kitts and Nevis, during his appearance on the weekly radio and television programme “Working for You” on Wednesday, January 27. 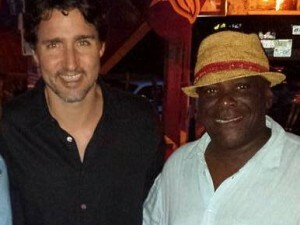 The prime minister touched on a few aspects that his administration looks forward to, including the desire that the country be less partisan politically. Dr. Harris, through that medium, took the opportunity to recognize the effort of the team members of Government. Special mention was also made of other members of the team including the Honourable Vincent Byron, Honorable Lindsay Grant, Honourable Ian Patches Liburd, Honourable Eugene Hamilton, Honourable Mark Brantley and Senator Wendy Phipps, as well as everyone in the high command of Government for their sterling support.